This book looks at the history and culture of the Japanese over the centuries. From the preface: "About ten years ago, while spending a few days under the hospitable roof of the distinguished Belgian jurist, the lamented M. de Laveleye, our conversation turned, during one of our rambles, to the subject of religion. "Do you mean to say," asked the venerable professor, "that you have no religious instruction in your schools?" On my replying in the negative he suddenly halted in astonishment, and in a voice which I shall not easily forget, he repeated "No religion! How do you impart moral education?" The question stunned me at the time. 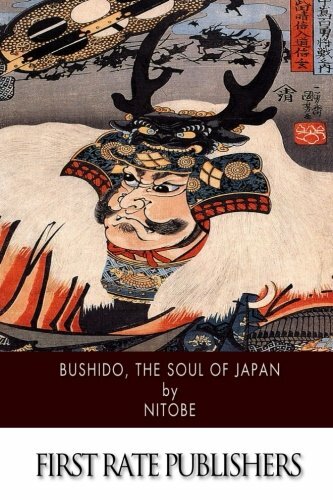 I could give no ready answer, for the moral precepts I learned in my childhood days, were not given in schools; and not until I began to analyze the different elements that formed my notions of right and wrong, did I find that it was Bushido that breathed them into my nostrils. The direct inception of this little book is due to the frequent queries put by my wife as to the reasons why such and such ideas and customs prevail in Japan. In my attempts to give satisfactory replies to M. de Laveleye and to my wife, I found that without understanding Feudalism and Bushido,  the moral ideas of present Japan are a sealed volume."